New this season and exclusive to us - Joanna Hope swimwear. 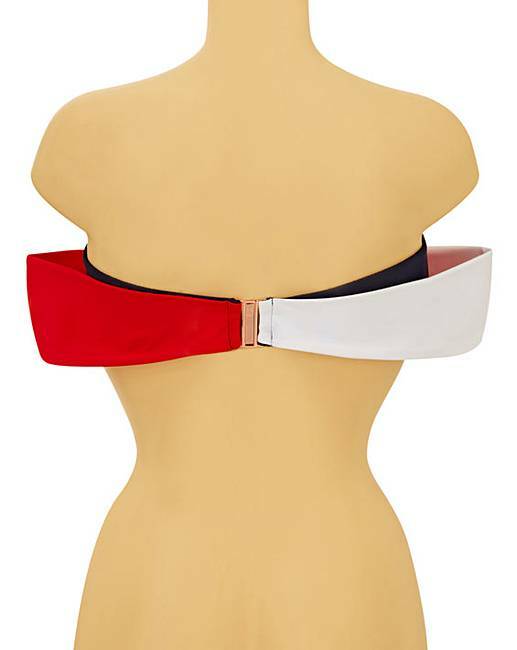 Stun in this fabulous Joanna Hope Regatta contrast wrap bikini top. 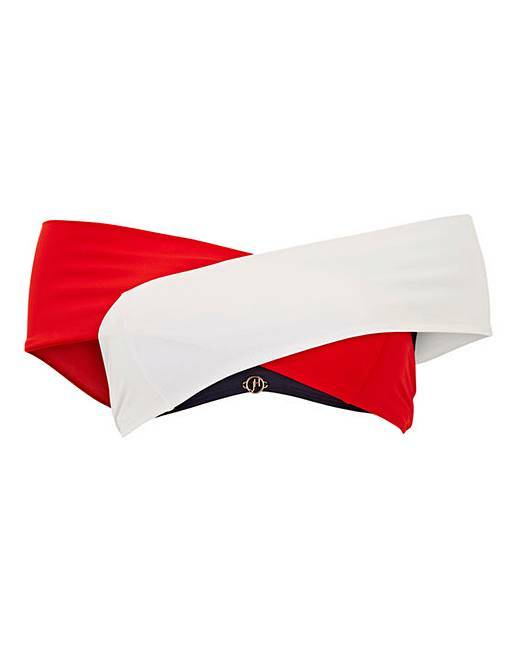 This bikini top features gorgeous off-the-shoulder wrap detailing to flatter and enhance, a clasp fastening to the back and is available in a classic but stunning colour combination of navy, red and white. Complete the look with the matching Joanna Hope Regatta contrast tie side bikini briefs.